Huge puffy indigo blue jackets transform the romance of the shade into practicality too! Balenciaga layers up the giant puffed up down filled jacket with plaid and stripes of brushed cottons. In spite of the giant down filled quilting the brand still manages to proclaim the fabric’s origins and wash out properties with high low seam wear and worn in body finish. 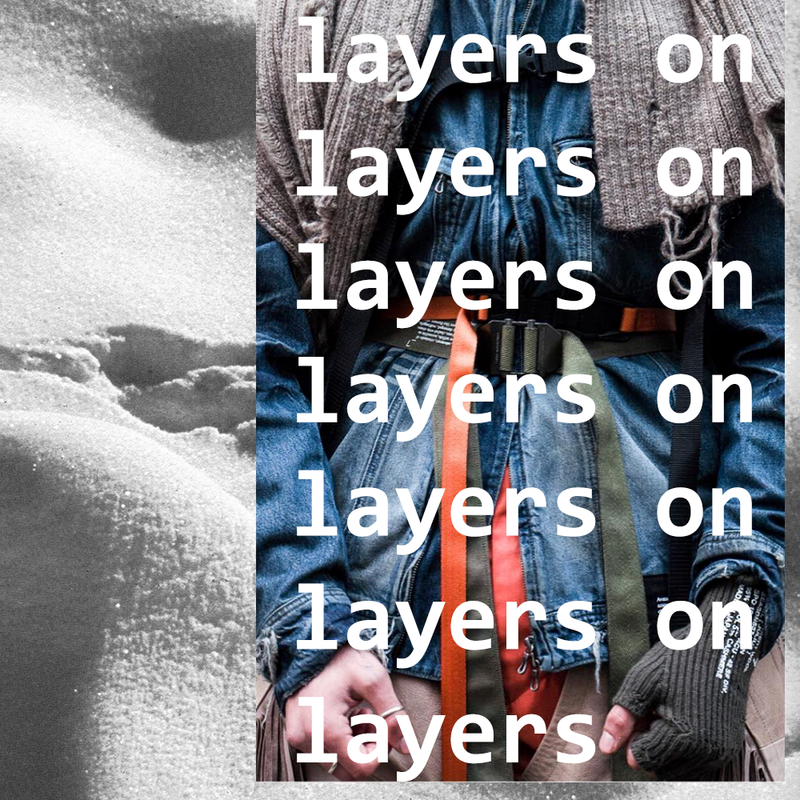 Layers and functional fastenings offer myriad opportunities for fleece mixing with denim and non denim cottons. Of course Diesel who excel in work style combines layers of quilting with overalls. Brushed lofty cottons in lookalike snowdrifts layered up with ribbed knits lend a visual softness to a chunky structure. Such layering adds real warmth to lighter weight denims with a brush finish.